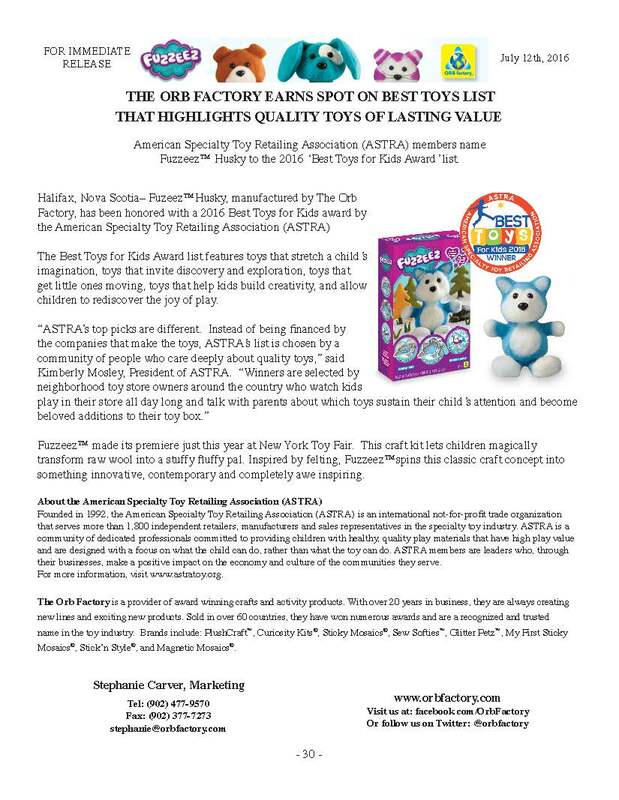 American Specialty Toy Retailing Association (ASTRA) members name Fuzzeez™ Husky to the 2016 ‘Best Toys for Kids Award’ list. The Best Toys for Kids Award list features toys that stretch a child’s imagination, toys that invite discovery and exploration, toys that get little ones moving, toys that help kids build creativity, and allow children to rediscover the joy of play. 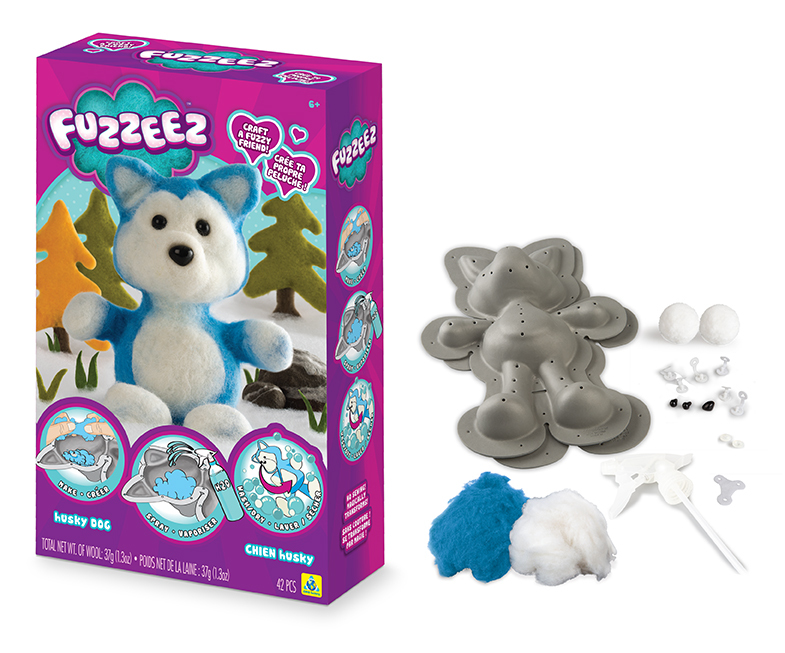 Fuzzeez™ made its premiere just this year at New York Toy Fair. This craft kit lets children magically transform raw wool into a stuffy fluffy pal. Inspired by felting, Fuzzeez™spins this classic craft concept into something innovative, contemporary and completely awe inspiring. Founded in 1992, the American Specialty Toy Retailing Association (ASTRA) is an international not-for-profit trade organization that serves more than 1,800 independent retailers, manufacturers and sales representatives in the specialty toy industry. ASTRA is a community of dedicated professionals committed to providing children with healthy, quality play materials that have high play value and are designed with a focus on what the child can do, rather than what the toy can do. ASTRA members are leaders who, through their businesses, make a positive impact on the economy and culture of the communities they serve. For more information, visit http://www.astratoy.org. The Orb Factory is a provider of award winning crafts and activity products. With over 20 years in business, they are always creating new lines and exciting new products. Sold in over 60 countries, they have won numerous awards and are a recognized and trusted name in the toy industry. Brands include: PlushCraft™, Curiosity Kits®, Sticky Mosaics®, Sew Softies™, Glitter Petz™, My First Sticky Mosaics®, Stick’n Style®, and Magnetic Mosaics®.